Create a beautiful design on these Scratch Board Crosses by simply scratching away the black surface with a wooden stylus. Stylus not included. 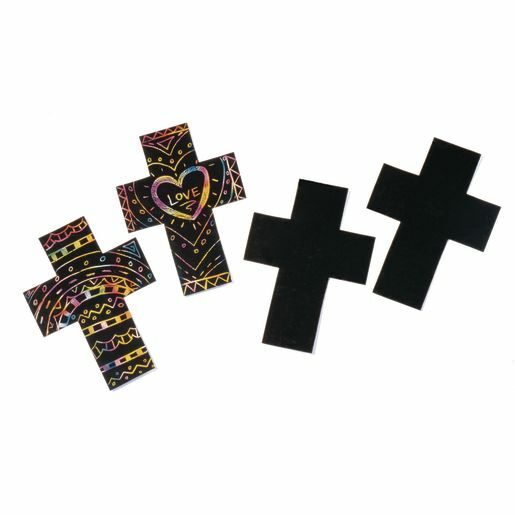 Crosses measure 4"L x 5 1/2"W.